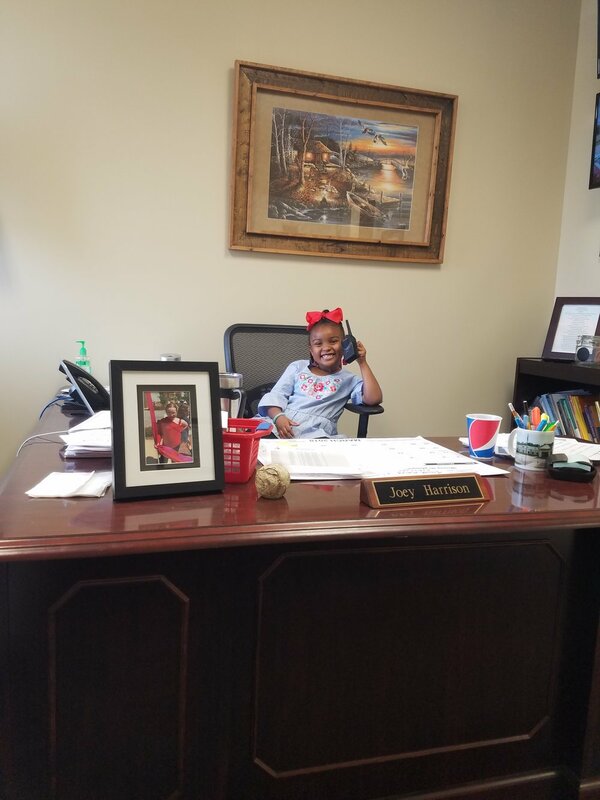 Thank you, Holice Powell Elementary, for sharing your story with us! We are excited about the work you are doing! Learn more about how to share your story and be featured in a monthly spotlight HERE. We had fun celebrating our students who have been demonstrating positive behaviors the 2nd nine weeks. These students demonstrated our Choctaw Pride Expectations which are Have Respect, Prepare Yourself, and Show Responsibility. We had an animal show and the students were even able to hold a blue and gold macaw, red footed tortoise, and an albino corn snake. Check out the faces on those happy students! We took a short hiatus from the monthly spotlight in December for the holidays, but we’re happy to be back sharing stories of great work happening in our region. Thank you, Altruria Elementary, for sharing your story with us! We are excited about the work you are doing. 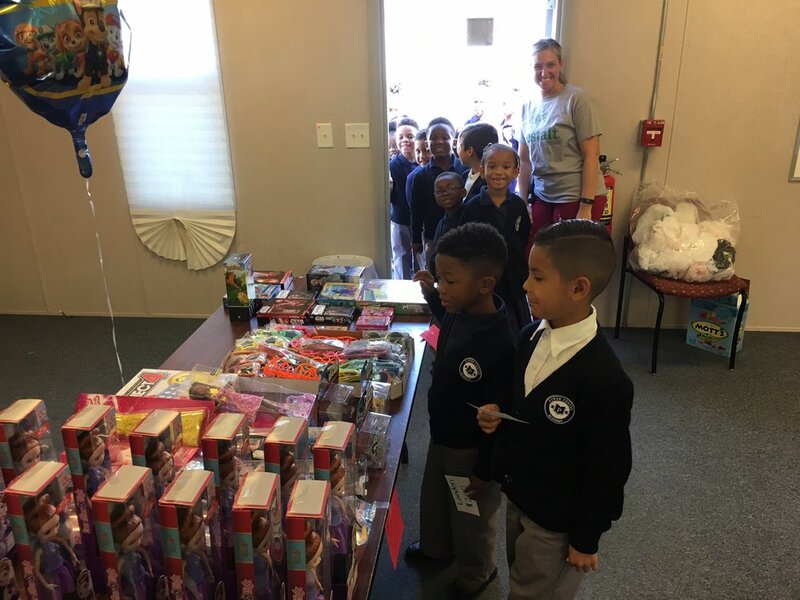 Altruria Elementary's RTI2-Behavior Team wanted to improve attendance by rewarding students who attend school all day every day. The team created a quarterly HERO (Here - Every day - Ready - On time) Party to celebrate these students. The first HERO party was a Glow Dance Party. Students who qualified with perfect attendance for the first quarter and E's or G's in conduct got to dance to some of their favorite tunes in a dark gym with black lights and glow sticks for each student. Each HERO party will have a different theme and will take place after each quarter, so students who did not qualify to attend the first party will have 3 more chances to attend. The students and staff had a great time! Learn more about how to share your story and be featured in a monthly spotlight HERE. 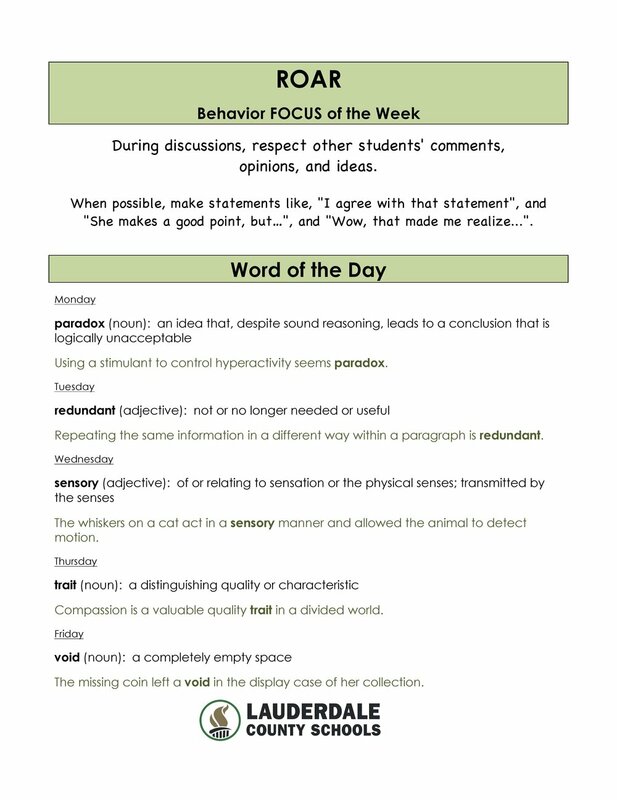 November Monthly Spotlight-Lakeland Middle Preparatory School! Thank you, Lakeland Middle, for sharing your story with us! We are excited about the work you are doing! Learn more about how to share your story and be featured in a monthly spotlight HERE. 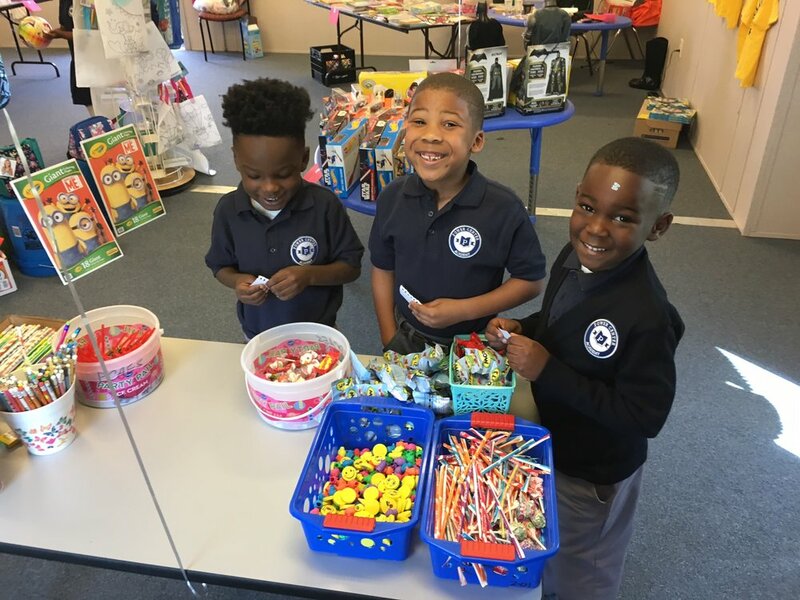 Lakeland Middle Preparatory School’s LIONS recently celebrated our students’ Quarter 1 behavior by hosting our 1st “Mane Money” Rewards Store. Students earn “Mane Money” for following our R.O.A.R. expectations (Responsible, Outstanding, Accountable, and Respectful). They are able to spend their “Mane Money” on glow sticks, sunglasses, tattoos, vampire teeth, fidget spinners, bouncy balls, Frisbees, and more. Students also earned “Peace Days” for their R.O.A.R. behavior and got to wear silly socks or hats all day. 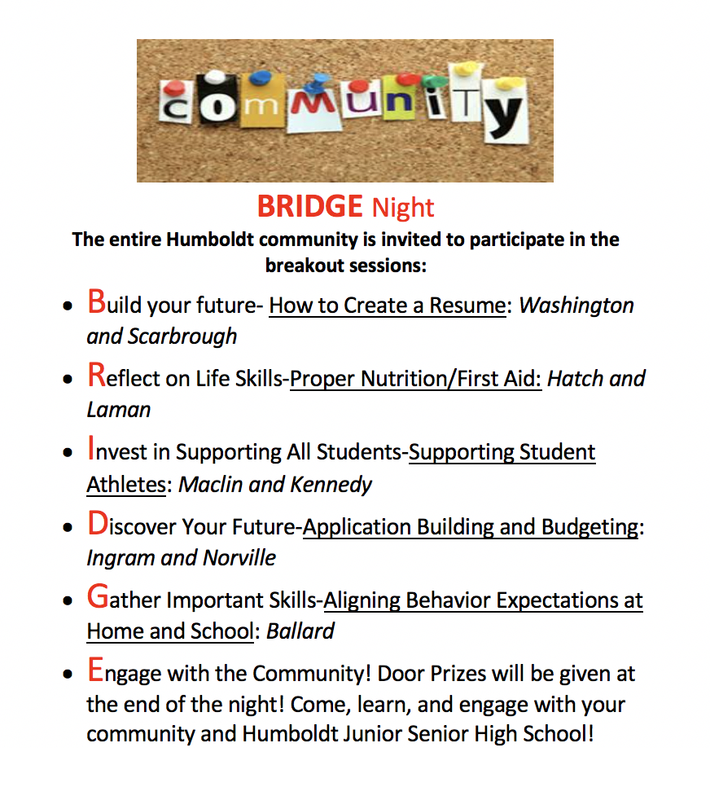 October Monthly Spotlight-Family and Community Engagement in Humboldt City Schools! 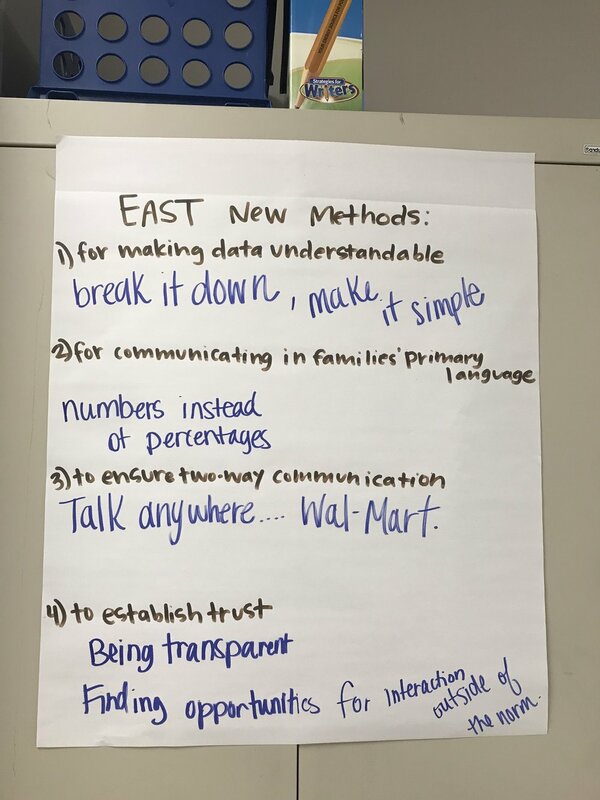 Humboldt City Schools recently finished our first Family and Community Engagement in RTI2-B Training! They are off to a great start with plans to engage stakeholders in new and exciting ways. Check out these photos from our training and the flyer below for one of their first events! 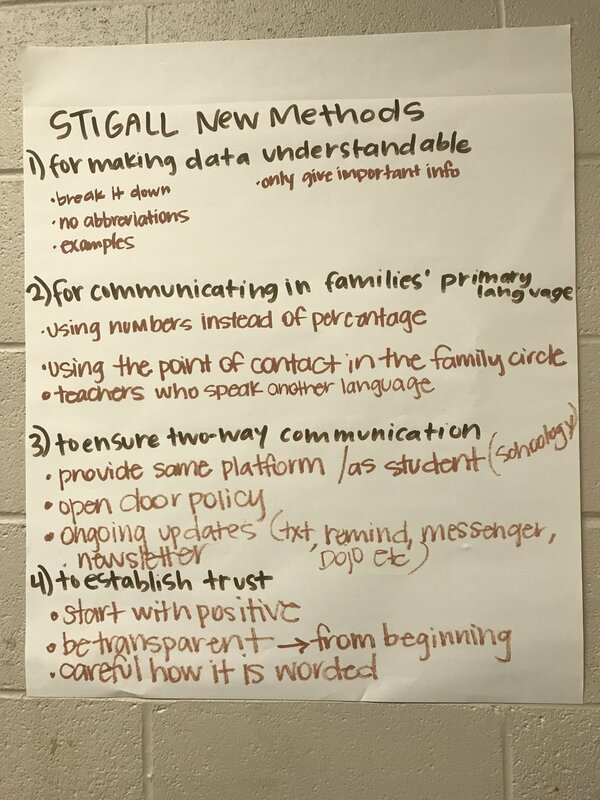 For more information about Family and Community Engagement (FACE) in RTI2-B, click here or email Shelby Cook at sbrnkley@memphis.edu. We are currently recruiting schools for spring FACE trainings. Are you wondering, what is a monthly spotlight? Click here. Would you like us to feature your school or district’s story in a monthly spotlight? Apply here. September Monthly Spotlight-Lakeland Elementary School! Lakeland Elementary started the school year out with a bang as we had a kickoff party for our ROAR (Responsible, Outstanding, Accountable, and Respectful) program. The Lakeland Elementary cheerleaders got everyone pumped by greeting students as they came into the gym. All of our students participated in an assembly that included cheers, a review of expectations, and 'how to' videos of great ROAR behavior in the cafeteria, hallway, and bathroom. Our assistant principal, Mrs. Sharonda Rose, put together a great program along with our ROAR team. We are excited to announce that we will have all of Humboldt City Schools participating in our first ever Family and Engagement Team training in August! 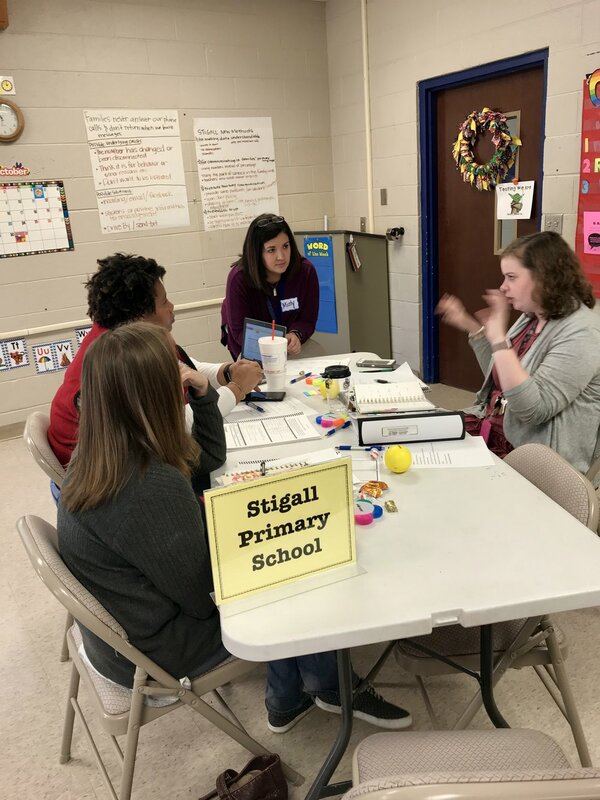 These schools are doing fantastic work in their implementation of RTI2-B, so we are thrilled to see how they will be even more successful by engaging families and communities in their RTI2-B work. June Monthly Spotlight-Bartlett City Schools! 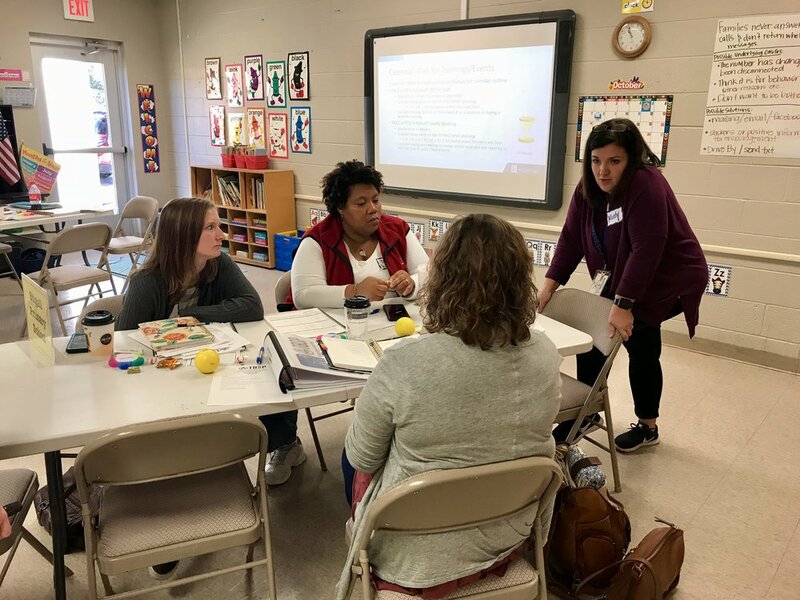 Bartlett City Schools are doing an excellent job using data to inform decision-making at the school and district levels. Check out their strategy below! Period comparison of exclusionary consequence from the 1st 20-day period to the current 20-day period. Exclusionary consequence comparison of Elementary school and Middle schools. A data sheet showing how many exclusionary consequences (ISS, OSS & Expulsions) were entered by each administrator at the school for the 20-day period. Overall numbers of exclusionary consequences for all schools for the 20-day period. current 20-day period for all schools. Drill down to specific students and incidents. Drill down to grade level and teacher. Find area of school where incidents frequently occur. Implement appropriate interventions and supports to address behaviors. Fifth Consolidated is providing unique opportunities for students as rewards for good behavior. Check out their story below! We love your creativity, Fifth Consolidated! 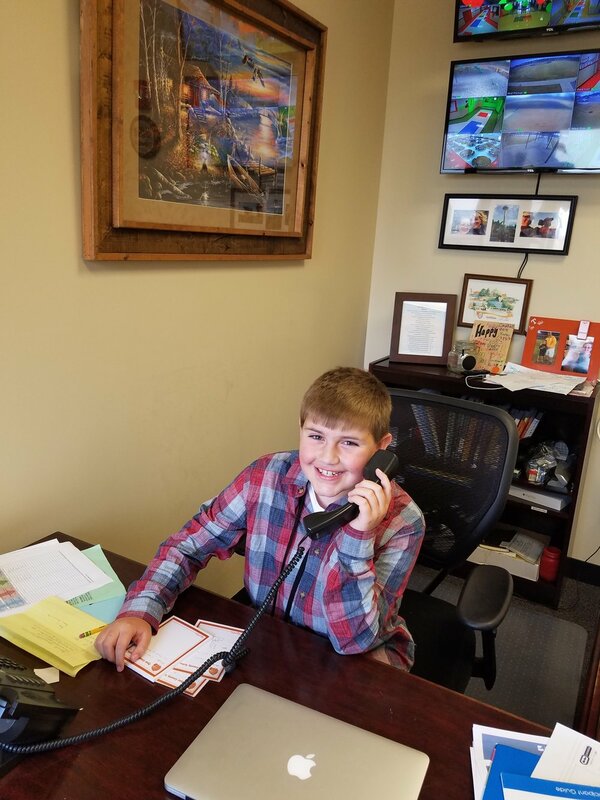 "One of the most popular rewards students of all ages at Fifth Consolidated can buy at our school store, Tribe-Mart, is to be Assistant Principal. Each student will spend a thirty minute session as assistant principal. 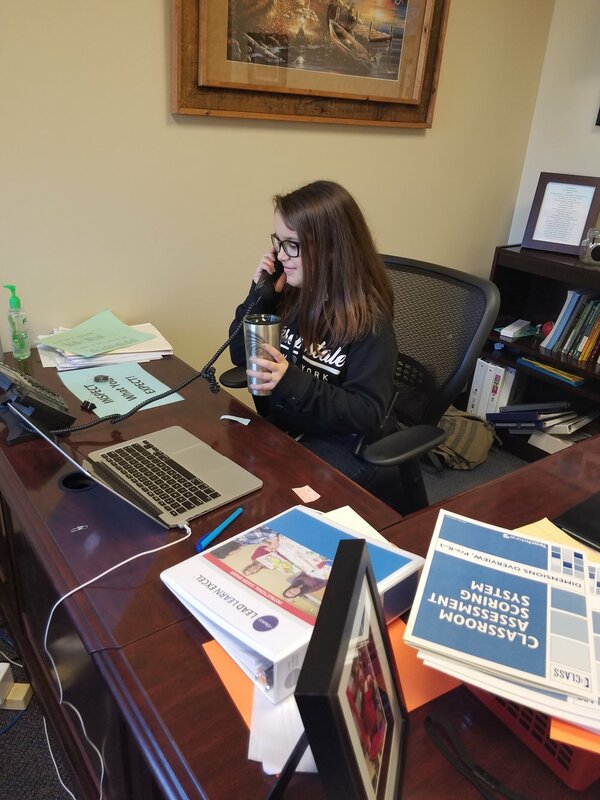 The student will function with various duties including checking on classrooms, communicating with the secretary, monitoring the hallway, and using the walkie-talkie. Another choice in high demand is to eat lunch with one of the principals. Pictured is a group of fifth graders that spent points to eat lunch at our local Chick-Fil-A with Assistant Principal Joey Harrison. Reward parties each nine weeks have also been well received among the students. Most recently, our Neon Dance Party was a big hit! Students danced the afternoon away thanks to their "glowing" behavior." April Monthly Spotlight-Power Center Academy Elementary! "Starting in 2015, Power Center Academy Elementary School is continuously growing and currently serves over 500 K-3 graders. 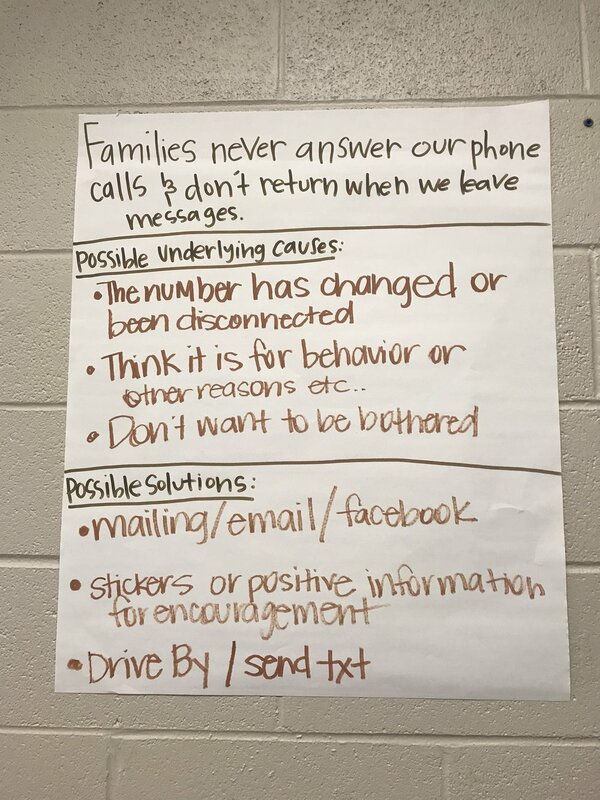 Realizing the impact of acknowledging the good choices and behaviors of our scholars through lots of positive narration and Squire Bucks (token economy) for exhbiting positive behaviors, we reached out to our Parent Action Committee to gain support from our families for components of our PBIS program. We realized the need for their support in order to make all components of our PBIS program sustainable. Our parents kindly support teachers with their classroom requests and are fully on board as they give freely to our scholars! Parental support ensures that Power Center Academy Elementary School is able to provide over 10,000 items for scholars to enjoy when they spend their Squire Bucks in the Mega-Squire Store and this helps to reinforce the building of intrinsic motivation in our scholars to make positive choices. Moreover, our parents help us to keep alive the old adage, "it takes a village" as their support goes along way in ensuring all scholars celebrated! Pictured here is Mrs. Rogers, PAC President 2017-2018 and one of our most active parents, Mrs. Jones, parent of Jerry Jones- 3rd grader. 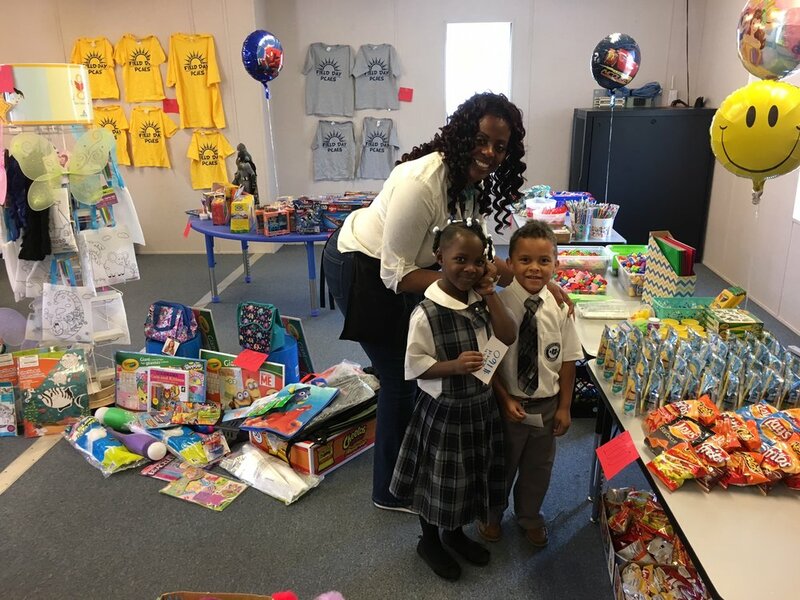 Mrs. Jones regularly shops for our scholars, and brings trunk loads of gifts. 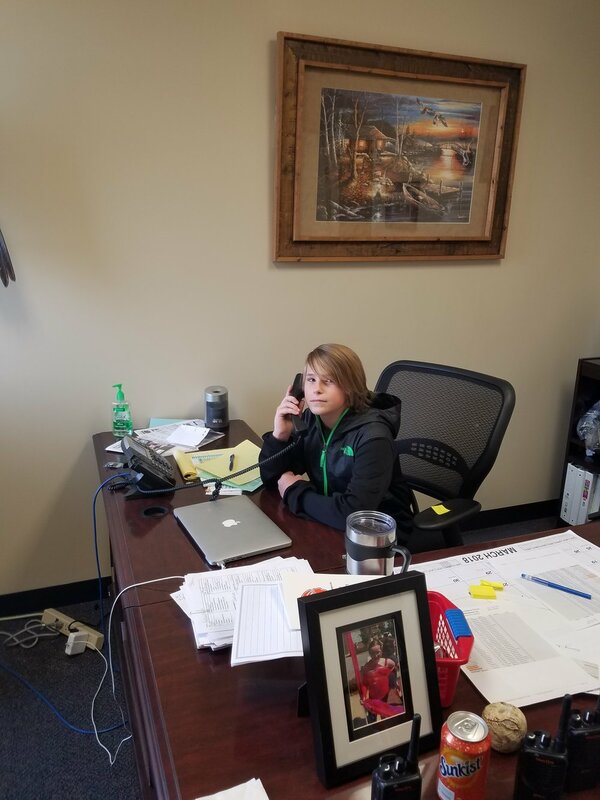 Mrs. Jones sets up the Mega-Squire Store, is always dependable and selfless in giving her time to PCAES' PBIS programs! We salute all of our parents and extend a super special shout out to Mrs. Rogers and Mrs. Jones!" We love seeing stories about RTI2-Behavior in local newspapers! This is a great way to engage the community with what's happening at school. 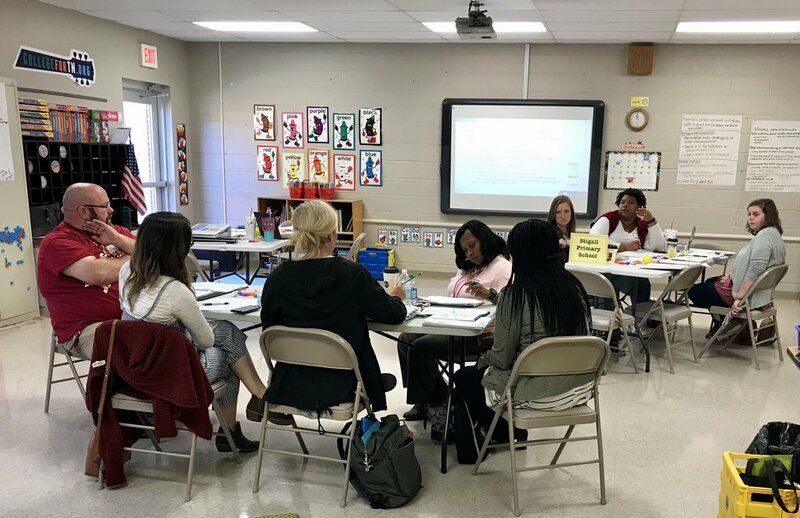 All of Dyersburg got to see how Dyersburg Primary Schools are excelling in their implementation of RTI2-B. We are proud to have them as a Model of Demonstration school. Way to go, DPS! Click the title of this post to see the entire article on the State Gazette website.